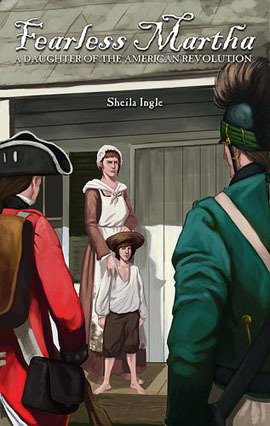 Most history books describe the American Revolution as a war between men, but in South Carolina, heroic women like Martha Bratton played a part in defeating the British and ensuring independence for the thirteen colonies.Fearless Martha: A Daughter of the American Revolution is a fictionalized and illustrated biography of this plucky female patriot for young readers. Each captivating chapter describes this resilient and fearless young mother in her commitment to preserve and protect her family and home in the backcountry of South Carolina. When her husband rides off to join a militia and fight for independence, Martha and her children—four daughters and a rambunctious six-year-old boy—try to hold their lives together. Between blowing up a secret cache of gunpowder before Tories can confiscate it to blowing off a rattlesnake’s head, Martha Bratton stands tall as battles wage around her during the summer of 1780. In a riveting scene on the front porch of her home, Martha meets the enemy face to face as a British soldier holds a blade to her neck and her children cower behind her. Recreated through imagination, public records and backcountry traditions, Fearless Martha is a powerful story of bravery in a tumultuous time.